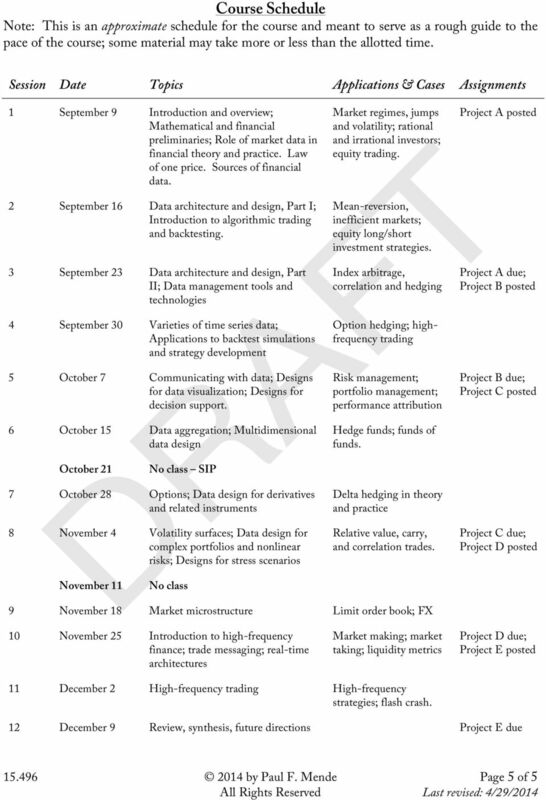 Download "15.496 Data Technologies for Quantitative Finance"
15.034 Metrics for Managers: Big Data and Better Answers. Fall 2014. 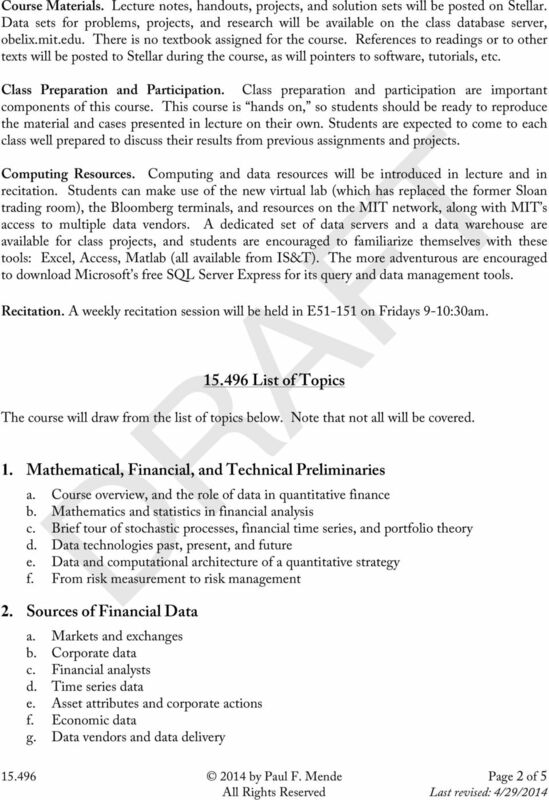 Course Syllabus DRAFT. Faculty: Professor Joseph Doyle E62-516 jjdoyle@mit. 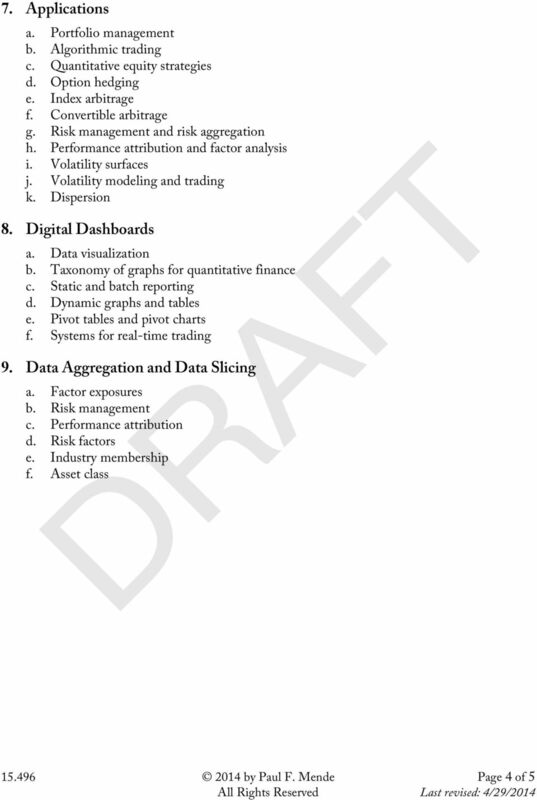 Build 1.00 Structure and Main Features of the RIT Market Simulator Application Overview The Rotman Interactive Trader is a market-simulator that provides students with a hands-on approach to learning finance. 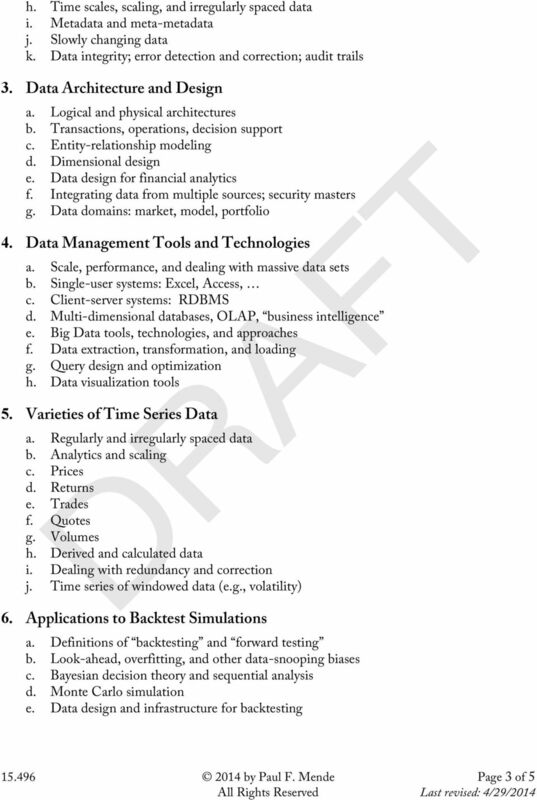 - Analyzer 2007 Executive Summary Strategy Companion s Analyzer 2007 is enterprise Business Intelligence (BI) software that is designed and engineered to scale to the requirements of large global deployments. 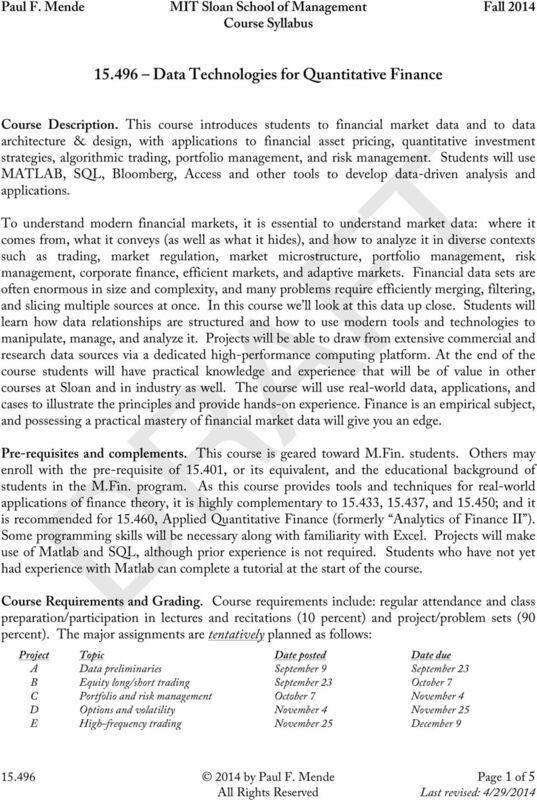 Financial Modelling. Objective. Course description. Spring 2014. Secretary Suzanne Shapiro, Office A208, ext. 8844 E-mail: sshapiro@london.